Learn Spanish verbs. Practice conjugating verbs with an interactive, fun and addictive quiz. We give you a verb, tense, and pronoun - you give the correctly conjugated verb. Quizzes are available in sets of 10, 25, and 50 questions. Customize your quiz. Select from a list of 501 verbs, 13 tenses, and 6 pronouns. That's almost 40,000 conjugations! -Select from a list of 115 verbs, create and save custom lists, or select by verb stem. 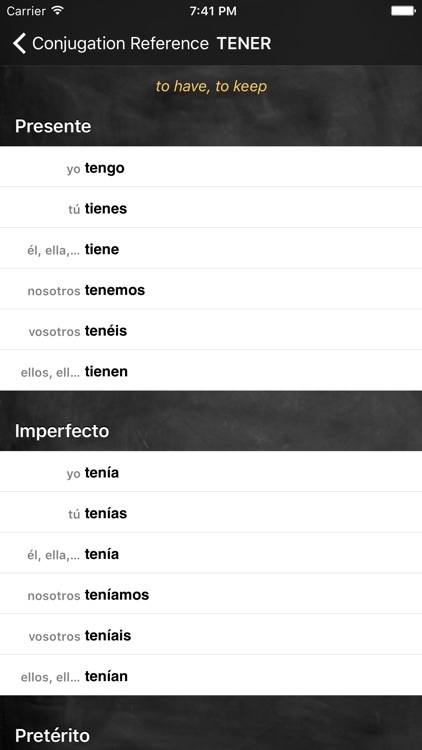 -Select tenses (beginners can start with just Presente). -Select pronouns (work with all of them, or select a subset - e.g. Yo, Tu). -While taking the quiz, TAP the screen to show English translations. 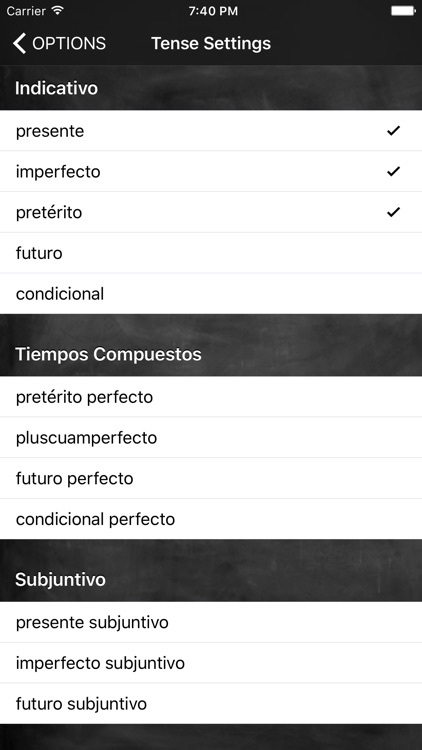 -If you're stumped, you can SWIPE UP to view the answer, and then also view all conjugations if desired. -Adjust the quiz pace, slow it down by adjusting Answer Display Duration under the options panel. -Review the summary to go over incorrect answers. 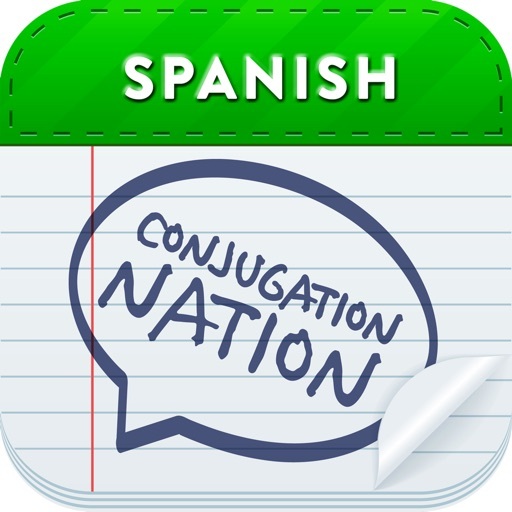 -Review the verb conjugation tables to brush up. -View the regular stem reference to learn about conjugation patterns for regular verbs. 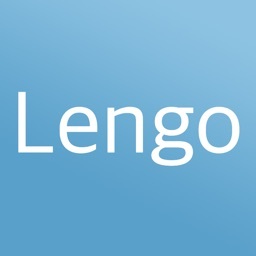 -Go for speed and try to conjugate in record time. 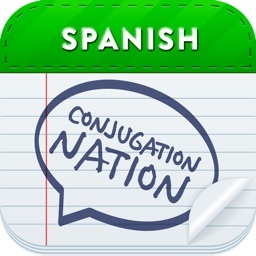 Also check out Conjugation Nation Italian and Conjugation Nation French in the app store!! *Working knowledge of the language is recommended. 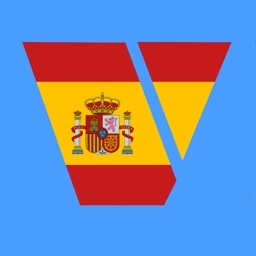 Our app does not provide Spanish grammar rules. However, the app can be a powerful memorization tool if you are just beginning to study the language. 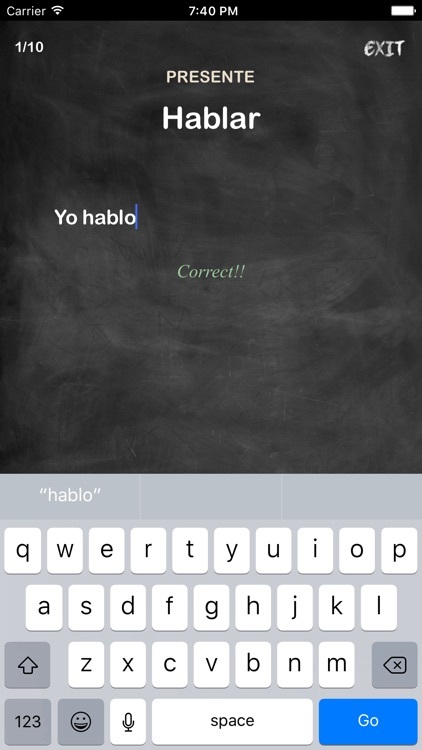 If using auto-correct, we recommend enabling the iPhone's built-in Spanish keyboard. Enable it under: Settings -> General -> Keyboard -> International Keyboards.